Rainstorm EP is a wistful poem to found lost things and rainy nights, the love child of a music box and snowglobe. 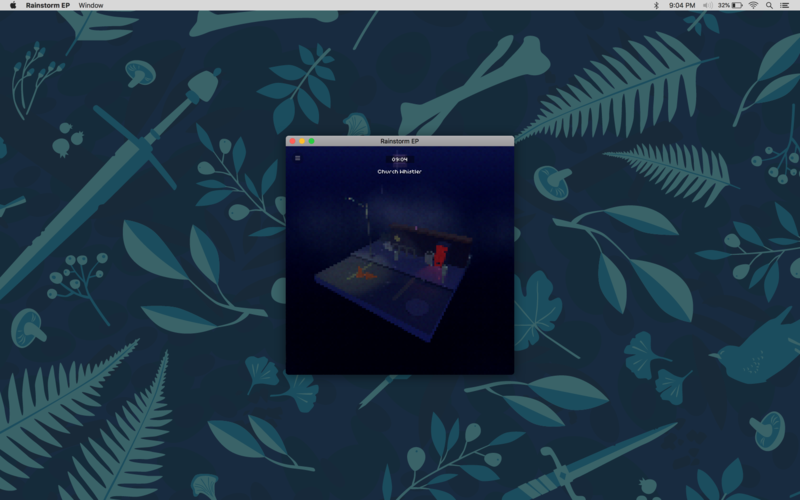 As much an interactive album as a game, Rainstorm EP invites you to explore a tiny world and idly listen to what you find there. The experience was inspired by the tranquility found during dusk rainstorms and the warmth within analog technology. • A digital clock for players to always know what time it is!